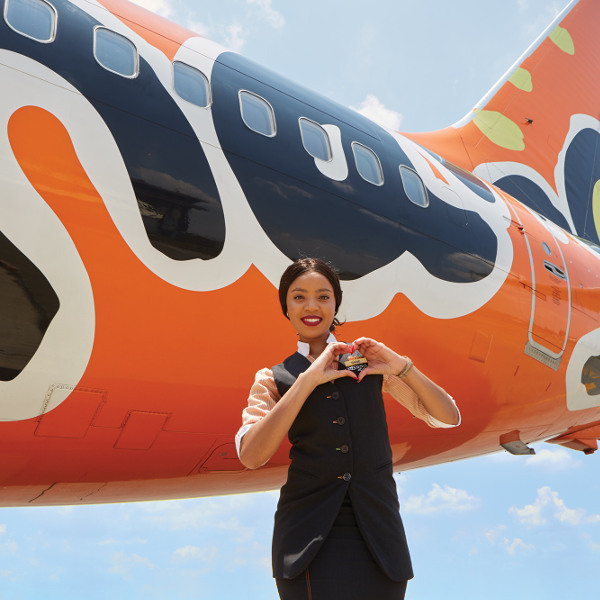 At Mango, the safety of their clients always comes first – adding to why they’re the most-loved, affordable airline in South Africa. They are one of the best on-time and low-cost airlines in South Africa with a range of destinations to fly to, making travel in South Africa an affordable option. They have the widest range of payment options including cash, EFT, credit cards and store cards such as Edgars and Jet. Mango is a subsidiary airline of South African Airways that has been in operation since October 2006 and is owned by the South African state. With a fleet of vibrant orange aircrafts, it is no doubt that Mango Airlines is one of the most innovative airlines in South Africa. Mango doesn’t just offer cheap flights, they provide top-line services such as on-board WiFi for business people who prefer working on the go, as well as a fine selection of in-flight programmes on Mango TV. Mango caters for a significant portion of the market by providing multiple payment options including: EFT, credit card, bank or cash deposit and store account cards (Edgars / Jet). You should also fly Mango for the ability to purchase tickets at Shoprite / Checkers stores, making flying accessible to almost all South Africans. Mango flies to and from Port Elizabeth International Airport (PLZ). Book your cheap flights to Cape Town, Johannesburg, Durban, Zanzibar and other exciting places! • One piece of carry-on luggage is allowed per passenger and may not be larger than 56cm x 36cm x 23 cm or weigh more than 7kg. There’s a small charge of R35.00 per kilogram for domestic travel, and R65 per kilogram for flights between Zanzibar. The maximum luggage weight is 32kg. There’s a small charge of R50.00 per kilogram for domestic travel, and R85 per kilogram for flights between Zanzibar. The maximum luggage weight is 32kg. Check in for your Mango flight at the airport at least an hour before departure, or you can use the online check-in service to reserve your seat before you fly. You can also use the Mobi check-in service which is available for all flights except those departing from George, Bloemfontein and Zanzibar. Self-service check-in kiosks are also available at most South African airports. Children and infants must travel with their birth certificates as identification or South African ID book. 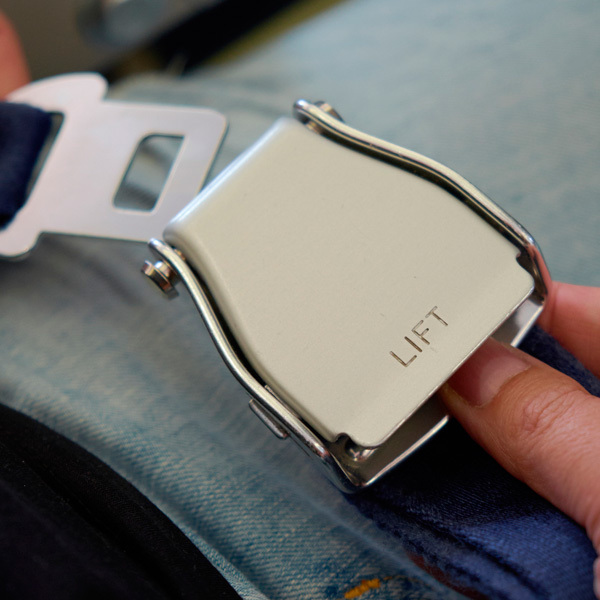 For safety reasons, passengers who require assistance, as well as those travelling with infants and children under 16 years, are not permitted to sit in emergency exit rows on Mango flights. Boarding gates close 30mins prior to departure. Mango airlines only offers economy class travel to its customers. Mango Airlines is a low-cost carrier and operates as such. Smart and experienced cabin crew are on board to attend to your every need, however, all food, snacks and beverages are sold on a pay as you go basis and are not included in the flight ticket price. The aptly named Mango ‘Spaza’ offers travellers assorted sandwiches, coffee/tea, cool drinks, wine and beer. There is also the Mango Kiddies Box available on board all FlyMango flights – this lucky dip is especially useful to keep the kids entertained on those longer flights between Johannesburg and Cape Town. WiFi Access: Compatible with most WiFi enabled devices, Mango airlines WiFi service allows you to surf the web at 30 000 feet! Various pricing packages are available to suit your needs. Reading Material: The Mango Juice in-flight magazine is Mango's monthly publication and is available free to all passengers. The magazine is packed full of useful resources and articles for travellers and showcases the latest going’s on in South Africa’s major hubs. Mango TV: If you feel like zoning out on your flight, then sit back and relax to a mix of locally produced programmes. Mango TV provides a welcome escape on your journey. Mango Airlines transports domestic pets only - dogs, cats, and small domestic birds. Your pet will be checked as cargo and will fly in a pressurized compartment in the belly of the aircraft – don’t worry, this is a whole lot safer than it sounds! Pets aren’t included in the checked baggage allowance. Each passenger can travel with two animals. Pet fees on Mango flights are only payable at the airport and that the number of pets allowed as cargo is subject to space availability. Once you’ve booked your Mango flight with Travelstart, contact the Mango call centre on 086 1 1MANGO (62646) to book your pet. The white sands and turquoise seas of the Mother City are more accessible than ever with cheap Mango flights to Cape Town. Mango flights to Cape Town depart daily from Johannesburg (O.R. Tambo and Lanseria) as well as Durban’s King Shaka International Airport (DUR). If you’re looking for flights from Bloemfontein to Cape Town on Mango, they depart every day except Saturday. Fly Mango to Lanseria. Mango Airlines introduced flights from Lanseria to Cape Town in June 2011. With three daily flights from Lanseria to Cape Town, Fly Mango is fulfilling a much-needed demand for low cost flights to/from this private airport in Johannesburg’s northern suburbs. On Sundays, Mango flights to Bloemfontein from Cape Town depart at 7:00am and return at 9:25am Flying time between the two cities is approximately 1 hour 40 minutes. Mango operates eco-friendly Boeing B737-800 planes on all routes. 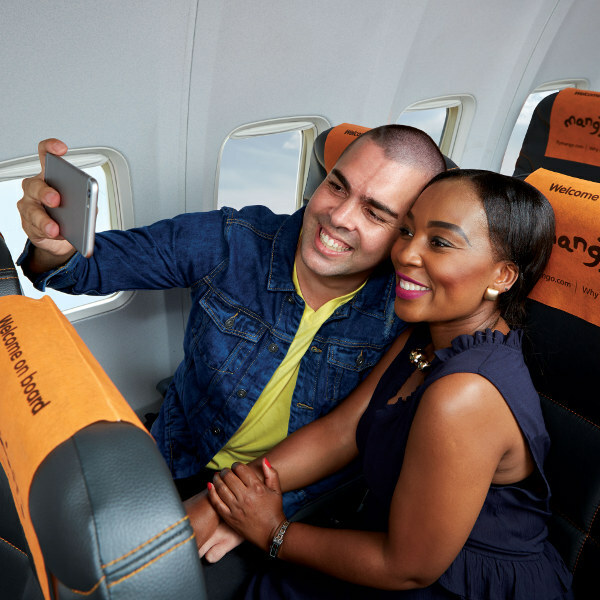 FlyMango aircrafts seat 186 passengers with three adjacent seats on either side of the centre aisle in each row. Having recently welcomed its sixth new generation Boeing 737-800 to their fleet; Mango passengers can look forward to optimised flight schedules and increased frequencies on all the major routes.